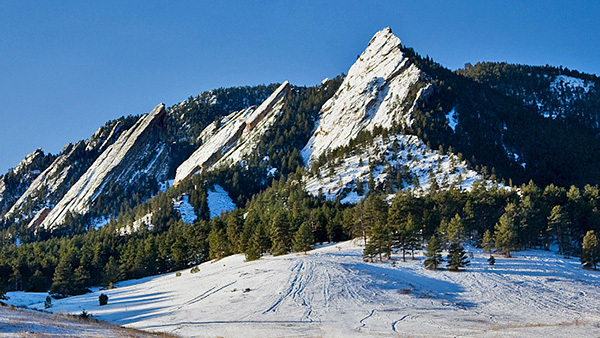 There is no denying that freshly fallen snow is stunning. The pristine white blanket turns any city into a postcard. After five minutes, this illusion is spoiled, though, as the snow mutates into something awful. These heinous snow variants, the underbelly of winter, include dirty snow, yellow snow and slush. Dirty snow. All it takes is a one day of rush hour traffic to mar the virginal look of newly fallen snow. The sides of the road become strewn with snow that morphs from white to brown to black. 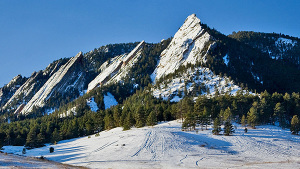 In Boulder, the snow generally melts rapidly due to the dry, sunny climate, so the preponderance and duration of dirty snow is short. On the East Coast however, dirty snow sticks around for so long it becomes a permanent fixture on the landscape. 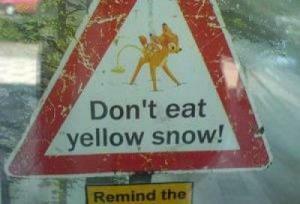 Yellow snow. 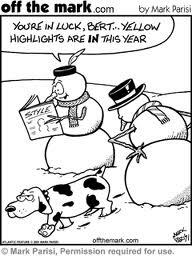 Frank Zappa said it best, “Watch out where the huskies go, and don’t you eat that yellow snow.” I think dogs must be perpetually dehydrated to have urine that is so yellow. Our backyard, after the most recent snowfall, looks like a toxic waste site. There is a yellowish snow mound at the park near the house that dogs congregate around sniffing out their friends and foes. Slush. I went to the supermarket a few days after a recent snow. It was sunny and the temperature had warmed enough to start a massive melting operation. The parking lot was a mess, with slush and ice covering its entirety. I did a lap around the lot in my car looking for an ideal parking spot with a clear path to the entrance. I couldn’t find one. So I went home. One other consequence of snow I would like to mention is the huge snow pile that eventuates from plowing after a blizzard. 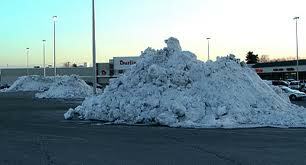 These piles are often so high they do not melt until the spring, often taking up precious parking spaces. 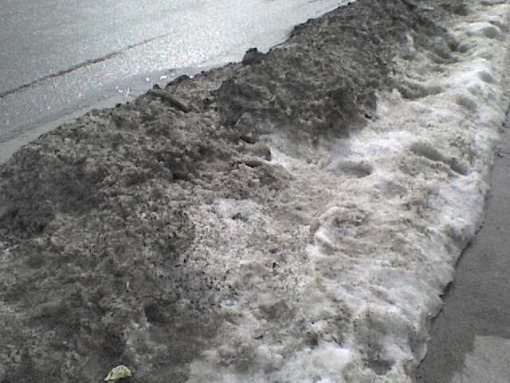 And, because these piles last so long, they inevitably turn into, you guessed it, dirty snow. I always try to balance out my negative whimsy with something positive. In this case, I am going to relay a story from my first winter in Baltimore. A huge blizzard dumped over two feet of snow, incapacitating the city for days. After 24 hours at home, I decided to go for a run. The snow packed streets made running nearly impossible. I turned onto a normally busy road, usually unfit for running, but now rendered un-drivable and therefore empty. A lone snow plow slowly made its way along the road, clearing a path. I seized the opportunity and tucked in behind the plow and continued my run unencumbered by cars and the waist deep snow. It was one of the most serene and memorable runs I have ever had.